The hum of award season is in the air and I think this might be the very first time I’ve actually been interested in reading the shortlisted books while the hype is positively buzzing. In a Strange Room is certainly an interesting book, both plot and prose wise. It is divided into three sections and each can easily be considered short stories if taken out from the book. 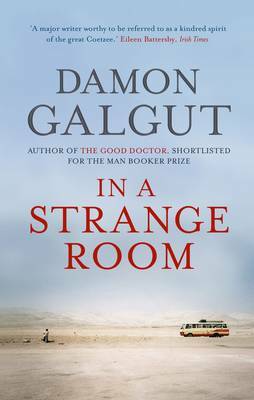 Each part drops us into the life of the main character, coincidentally named Damon, at different intervals of his life and each time while travelling. The first part, The Follower, Damon is in Greece where he drawn to a stranger, a German named Reiner. The two cross paths several times and travel around together before they separate, swapping addresses. Back home in South Africa, Damon floats around, crashing on friends couches, moves about and struggles to settle down. He keeps up the correspondence with Reiner for two years when Reiner writes to tell him that he is coming to visit South Africa. Once they are reunited, their relationship and connection has altered. In attempts to cover the cracks, the two decide to go hiking across the country together. Damon feels alone as ever during the hike and Reiner seems determined to push Damon as far as possible to see when he’ll snap. In the second part, The Lover, Damon is wandering around Zimbabwe a few years later, alone and rootless as ever. He joins a group of tourists who are heading up to Malawi even though he does not like anybody in the group. While on the train, he notices another group of travellers who arouses his interest. As his group journeys further, Damon feels more alone and isolated as ever, feeling unconnected with every place and every person. Time and time again, he bumps into the other group he spotted on the train and eventually joins them instead. The group is smaller and he is drawn to the Swiss twins, Alice and Jerome, but particularly Jerome with whom he shares a connection. Some time after their abrupt separation, Damon is travelling in Europe and visits the twins who have invited him to stay. His reunion with Jerome is confusing and charged with the things that are unsaid between them but in the end, this new connection also ends badly. In the last and most powerful section, The Guardian, Damon is older and a little more settled. He is finding that he stays in places longer, setting up little routines and is not flitting about as much as he did when he was younger. Damon flies to Goa, planning for a six-month sojourn, with his friend Anna who only plans to stay for eight weeks. She is going to Goa in hopes that it will do her some good, having been released from a clinic recently. While in Goa, it is clear that Anna is bi-polar and has to be heavily medicated but even so, her illness takes an incredible hold over Anna. Before leaving, Anna challenges Damon if he could handle her to which he replied he most certainly could. Anna’s erratic behaviour eventually wears Damon down and in a lapse of watchfulness, Anna attempts suicide a week before she is due to fly back to South Africa. This is really a remarkable book. The stories may not sound like much but the prose is something else altogether and may take some time getting used to. The narration switches between first and third person particularly during times, I think, when Damon feels the most removed from himself. There is a lot more first person in the last part when he is older and more settled. There are also no talking marks and conversation is integrated inside the prose but everything is done is such a marvelous and skilled way. Everything is parred back, sparse and very restrained but even so, the isolation, loneliness and rootlessness of Damon is very moving as he searches throughout the world for a place to call home. 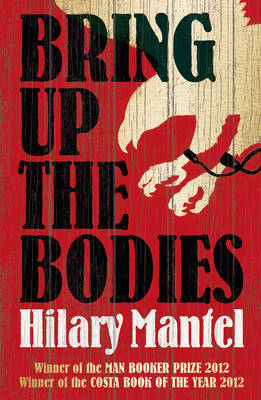 While this is also a book about South Africa, the tragedy of Damon is very difficult to ignore. A very beautiful and sad book. I really want to read this. I had never realised what it was about and so didn’t really understand what all the fuss was about, but now.. Thanks for the great review, well written and sensitive to the nature of the book. I am reading it at the moment but it’s not grabbing me, although I will persevere. I don’t like the lack of punctuation and the switching from 3rd to 1st person. Had no idea the narrator is Damon – I haven’t come across his name yet in the book!